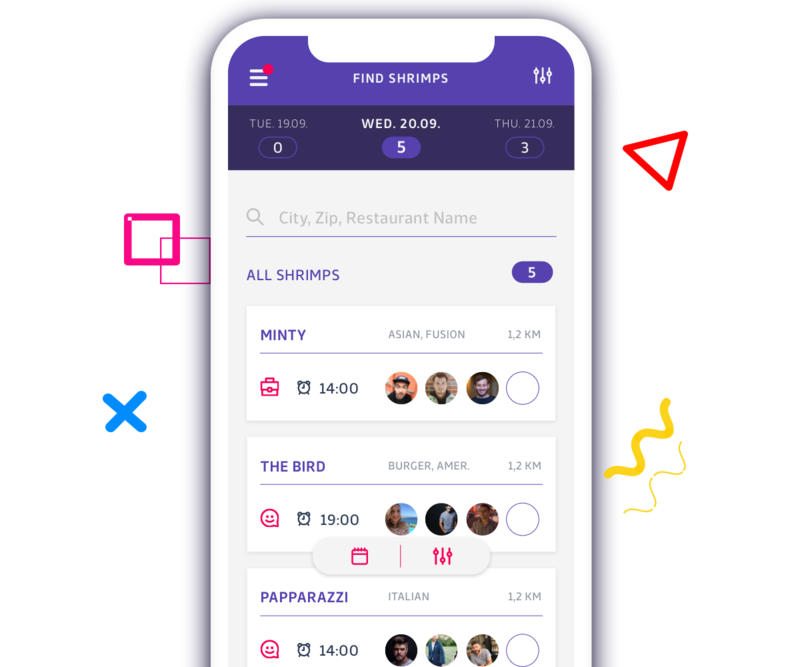 HelloShrimp is the first social business app that helps you connecting with the right people in your area and in the real world. We believe that true networking should take place not just online but in the real world. We believe that the contacts we make in the real world are often the better and more sustainable relationships. It's the little gestures that often tell us, whether we'll get together and the ones we only see when we meet. So, when do we meet? 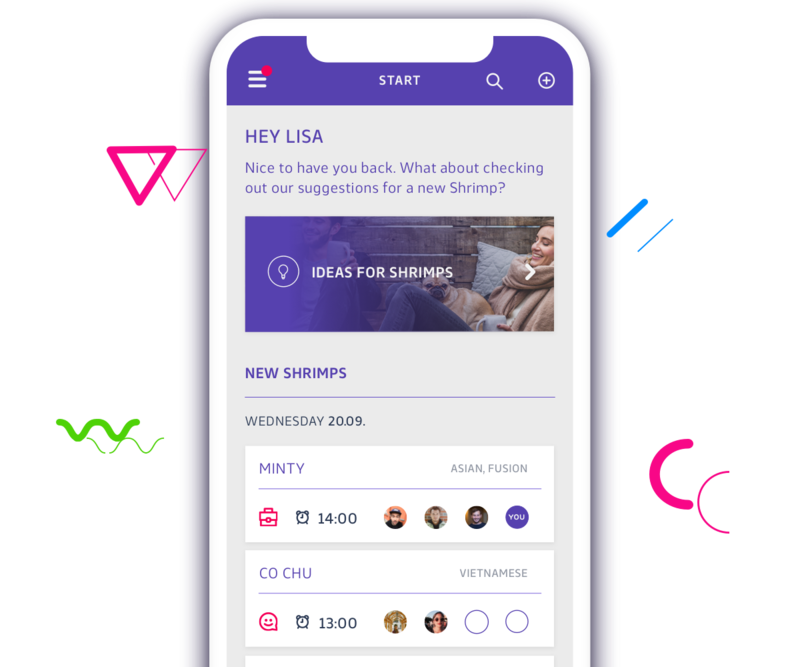 HelloShrimp helps you connect with the right people. 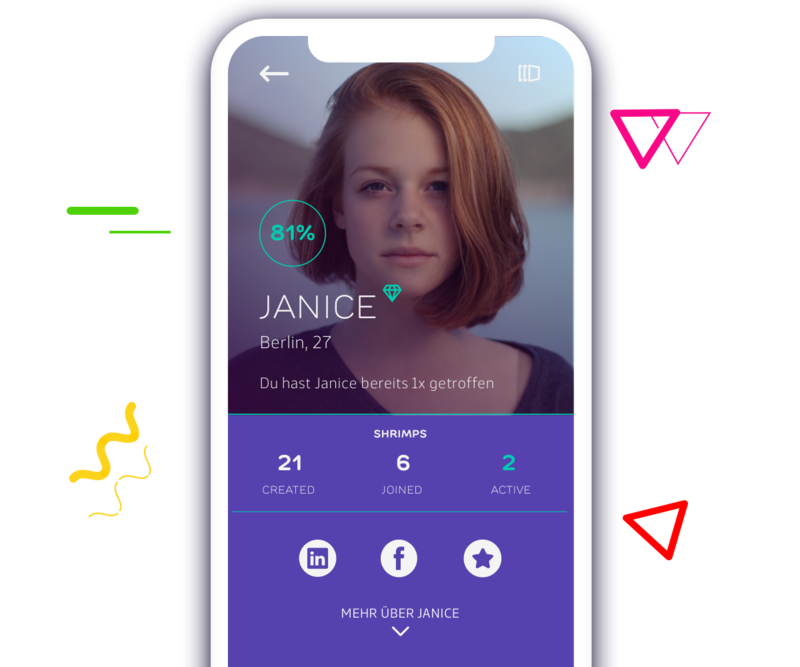 We're not a dating app, not a dating site, but the app you need to take your relationships, your network (LinkedIn, Xing and others) to the next level or expand. Create shrimp and meet people who do not tell you the blue of the sky, but enrich your life. 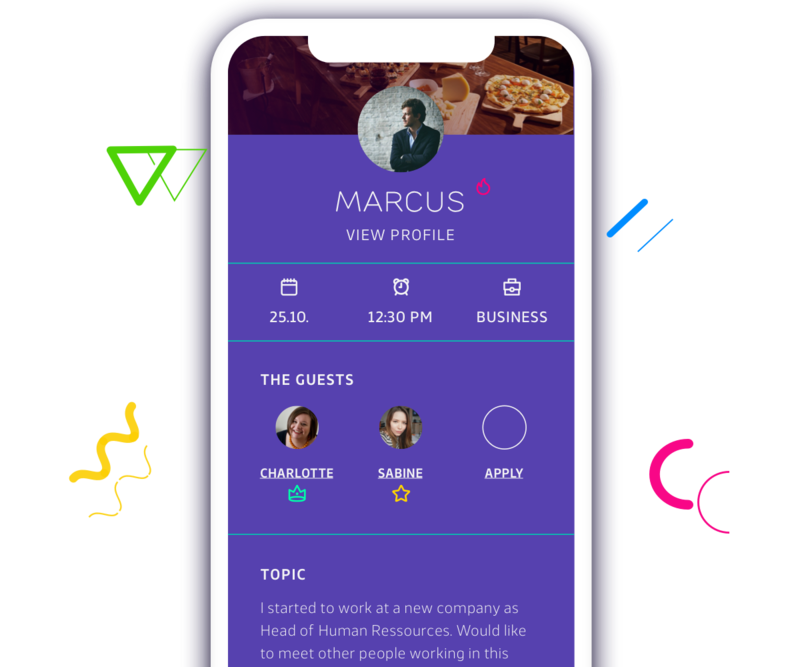 Whether you are looking for new friends, co-founders or would like to get to know your LinkedIn network better, with HelloShrimp you now have the opportunity to do so quickly and in real life. There are thousands of people out there who can inspire you and enrich your life. Get out there and meet them and build lasting and real relationships. 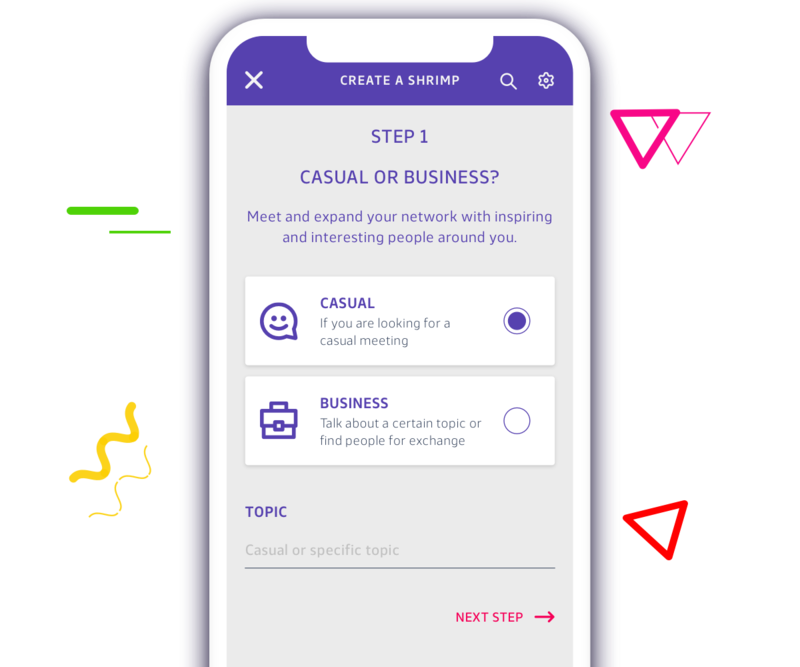 With HelloShrimp, you are guaranteed to find the right topic to talk to other people in your area, e.g. during the lunch. What are you waiting for? Let's meet...! Let yourself be inspired by new places and impressions, we help you to find the perfect location for the perfect meeting. All you have to do is create a first Shrimp. We'll show you what's happening around you and what Shrimps there are that you can apply for. Whether for lunch or dinner for a drink, find the perfect topic and perfect conversation partner.